In the minds of many, tanks played a lesser role in the Pacific theater than it did in Europe during WWII. However, tanks in fact played a decisive role throughout the bloody battles of the Pacific, and the most important for the Allies was the M4 Sherman. Previously, Dragon has released a 1/35 scale plastic kit of an M4A2 fighting on Tarawa, and this is now reinforced by an M4 also serving in the Pacific Theater of Operations (PTO). 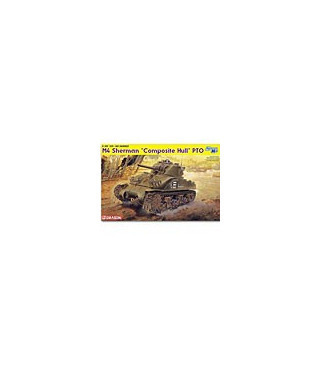 A total of 6748 M4 Shermans featuring a welded hull and Continental R-975 gasoline engine were produced. 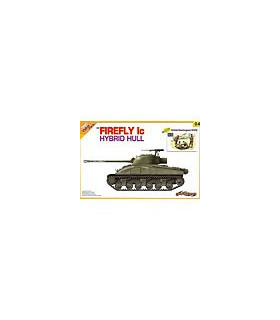 This Sherman kit offers many advanced features and completely new toolings. One instance is the brand new one-piece T48 tracks produced in DS for ease of assembly. Another example is the totally new upper hull, which has received an accurate and realistic casting texture. Even elements as small as on-vehicle tools or the antenna base have all been carefully crafted to ensure maximum accuracy. This kit is the culmination of intensive research and modelers are provided with all necessary parts and options to represent an M4 Sherman taking part in operations against the Japanese. 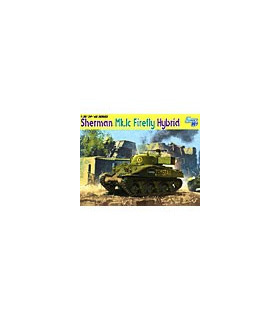 Without a doubt, this new Sherman kit easily keeps abreast, and even furthers, the high level of quality achieved in recent 1/35 scale Sherman releases from Dragon.